After losing traction for a year or two, the officers of Hillsdale College’s Enactus club are kicking off the new school year with rebranding and a greater emphasis on the group’s con­nection to the campus and com­munity. 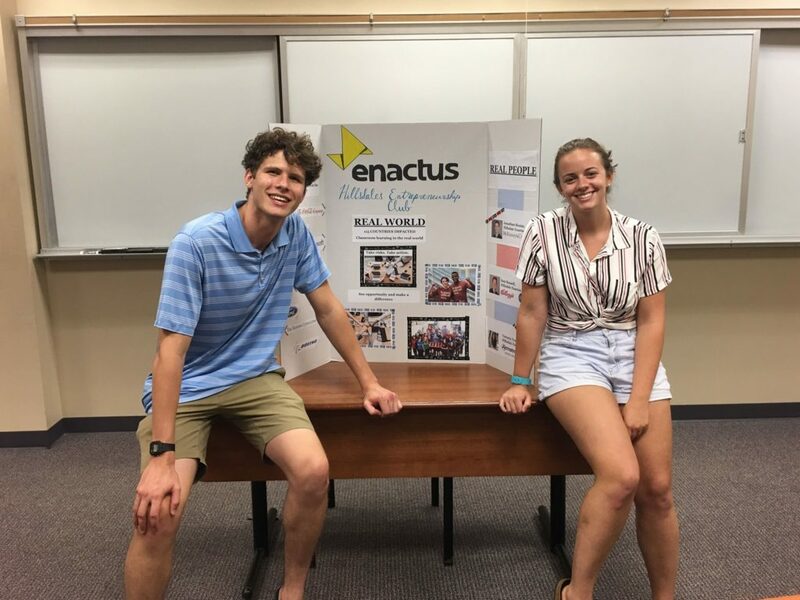 A coalition of thou­sands of stu­dents around the globe, Enactus invests in the campus — who identify and develop solu­tions to issues in their com­mu­nities, according to the organization’s website. This year’s Hillsdale Enactus club will find solu­tions to problems in the com­munity, offer pro­fes­sional-devel­opment training to stu­dents on campus, and offer resources for stu­dents to try out their inno­v­ative ideas, said sophomore Sam Swayze, the club’s pres­ident. When Hillsdale stu­dents first started a chapter of Enactus in 2006, the national orga­ni­zation was called Stu­dents in Free Enter­prise, a name that may have res­onated more with Hillsdale stu­dents and pro­fessors, said junior Natalia Bodnar, vice pres­ident of com­mu­ni­ca­tions for Hillsdale’s Enactus. The orga­ni­zation changed its name to Enactus a few years later and lost some of its appeal at Hillsdale, Bodnar said. “There was a breakdown in mes­saging,” Swayze said. 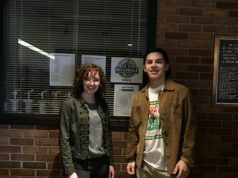 This year, the officers want the club to be known now as “Enactus: Hillsdale’s Entre­pre­neurship Club” to better com­mu­nicate what it is, said junior Abby Van­denBerg, the club’s vice pres­ident. Two years ago, a dis­pro­por­tionate number of seniors — nine out of 12 members — also made it harder for the club to keep up once they grad­uated, said Van­denBerg. The group launched a project almost two years ago to create a ride-sharing app which never came to fruition. The project still exists, but the club needs more “man­power” to finish it, Van­denBerg said. 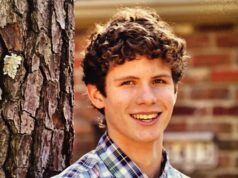 Toward that end, Swayze said, he’s trying to recruit a local entre­preneur of member of Hillsdale’s chamber of com­merce to join the club’s business advisory board. The club also will conduct a needs report by hosting round­tables with decision makers in the com­munity to determine what projects might be most helpful. Several stu­dents will attend Enactus’ national com­pe­tition in May to present their projects, but the club is also offering resources to stu­dents who won’t present there. 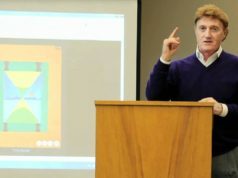 Weekly meetings are open to anyone and will offer pro­fes­sional-devel­opment training, Van­denBerg said. Bodnar said she wants stu­dents to realize that the values they learn in the classroom can be lived out through investment in the com­munity. “It’s really putting into practice the liberal-arts edu­cation,” she said. “The com­munity is devel­oping right now, and we want to be a part of that,” he said. now this is some­thing I can really get behind. This is cool — are they trying to talk to any alumni about investment oppor­tu­nities?